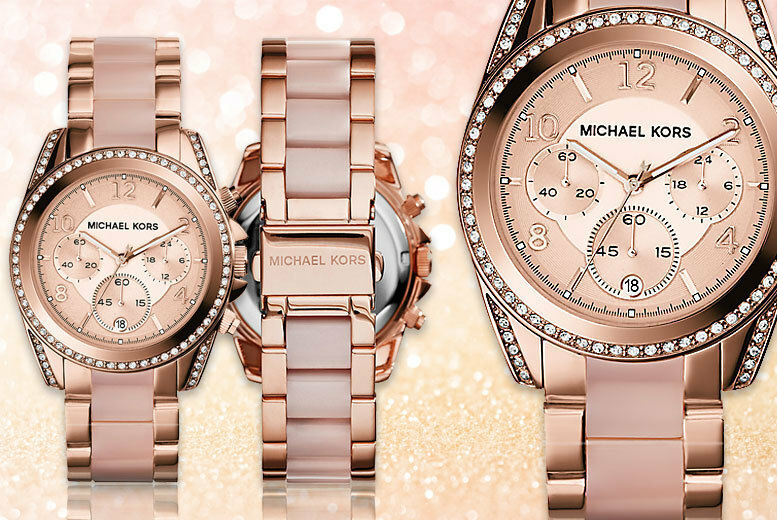 Treat her to a classy Michael Kors watch. In a stylish rose-gold plated colour. With a trio chronograph sub dials and a date display. On a stainless steel bracelet strap. Dazzling crystals around the dial. A gorgeous gift for your wrist!